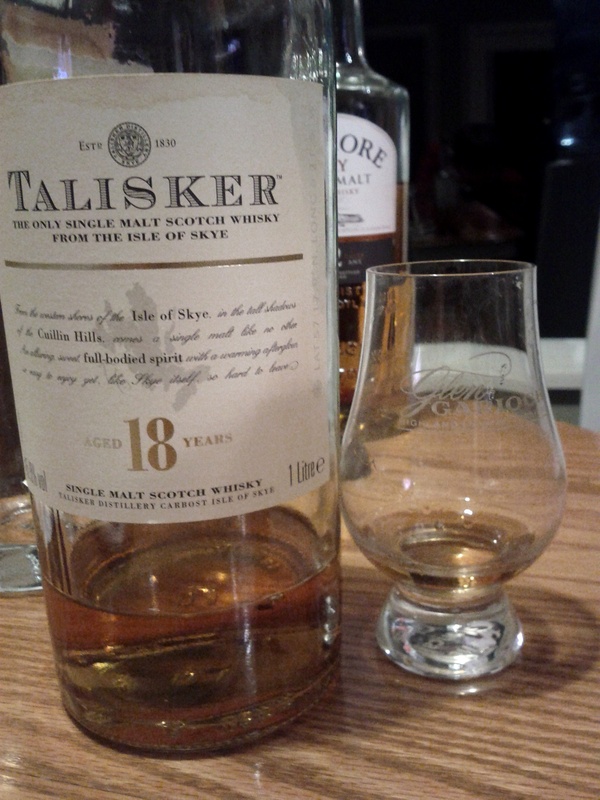 Talisker 18 is regarded as a premium whisky, so we were excited to have a small taste of it! A great fragrance accompanies this single malt . Amber in colour, it is a full bodied whisky with a higher alcohol content of 45.8%. Compared to the Bowmore 12 it is certainly more reserved when it comes to the smoke and peat flavours, but still sweet at the start. The finish was rounded and smooth on the palate., with a medium length. A favorite of mine which I’ll have to purchase if ever passing through the duty free from the U.K. Since the Talisker 10 is one of my favourite single malts, and since the 18 has become increasingly difficult to find — due to it mainly being produced for duty free, and rumours of it being discontinued — I was extremely excited to taste this whisky. Perhaps it is because of my ultra high expectations, and though it is fine whisky indeed, I was rather disappointed with my experience. To be sure, though Talisker, coming from Skye Island, produces relatively peaty whisky, the 18s degree of peat is quite mild. The extra 8 years of maturation markedly softens the peat smoke that is apparent in the 10-year. In light of this, the Talisker 18, unlike the 10, shares more in common with a Speyside single malt. A mild earthiness, wood, and citrus notes are exuded both from the nose and palate, while the characteristic sea-salt flavour of Talisker lingers on the finish. An enjoyable whisky, though not what I expected. I hope to try it again someday without any preconceptions. The nose in my humble opinion is by far the nicest I’ve come across. 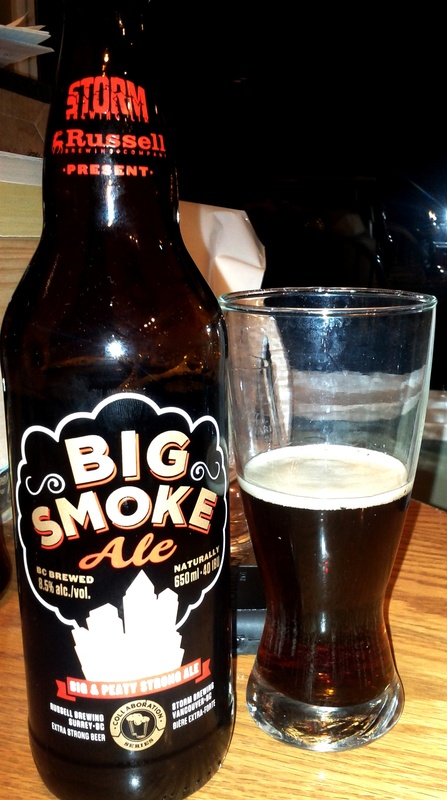 It’s smooth, fruity, sweet, with a faint smokey note. In body it’s certainly full, with a peaty presence. Very strong. The flavour is sweet at the start, which fades to a earthy/smokey note. Finally, the medium length finish was a rounded – almost smooth – and peaty. While I’m more a fan of the sweeter single malts, this is an exception that won me over! One of only several distilleries in Scotland that do their own floor maltings — a traditional practice that has mostly been abolished due to its labour intensity — Bowmore produces a classic Islay single malt. The Bowmore 12, in particular, has become a staple in the whisky community, as it’s one of those malts that one could not call themselves a whisky drinker had they not tried it. Though some novice drinkers may be offended by the level of peat in this whisky (approx 25 ppm), it is really quite moderate for an Islay whisky — the latest Octomore is peated at 167 parts per million! In light of this, the Bowmore 12, along with some of the Bruichladdich’s and Bunnahibhain’s, is an ideal introduction to peated whisky. While the Bowmore 12 is not overwhelmingly peaty, and certainly isn’t a highly smoky whisky, the nose is profoundly vegetative. Pronounced notes of damp peat, dry sawdust, and a touch of honey gives the whisky plenty of complexity. While the peat lingers in the nasal cavity, as if you’re in the vicinity of a peat fire, it doesn’t appear nearly as intensely on the palate; instead, it is softened by flavours of oak and dark chocolate. This isn’t highly surprising; it seems that much of the peat, what is noticeable on the nose, is instilled in the whisky indirectly. Sitting at the shore of Loch Indaal, the water at Bowmore is dark — dirtied with peat. This peated water, used in the distillation, gives the whisky its characteristic peat aroma without having to bombard the barley with an intensely peat driven malting. Moreover, I posit that, due to Bowmore’s own peat fires and floor malting process, lingering volatile aromas of peat that are in the air at the distillery may come in contact with the whisky, causing the whisky to absorb the peat, sort of like how dry hopping a beer increases the hop aroma without increasing the bitterness. As with many Islay whiskies, a touch of water to oxidize the whisky and open up the flavours may prove beneficial. Two to three drops is more than enough, so don’t overdo it — invest in an eye-dropper; it comes in handy. While the peat is not so pronounced on the initial taste, being complemented by other flavours, it is primarily what remains on the finish. The finish is exceptional; after a wee dram, one can still taste the peat 20 minutes later — that is if you haven’t already starting sipping another whisky! All in all, the Bowmore 12 is a classic malt that all single malt enthusiasts must try! 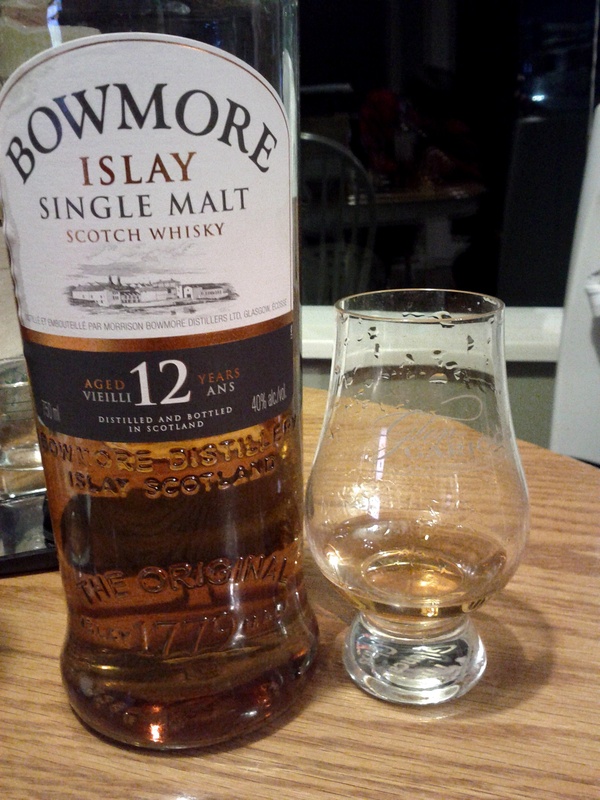 In typical Islay style, the Bowmore 12 is certainly one of the most peaty and smoky single malts I’ve tried to date! In my opinion, the nose was the best part of the whisky; it was rich in an earthy tone, full of peat, malt and smoke. Golden amber in colour, Its sharpness is not only from the alcohol but the peat. As expected, these notes are certainly evidenced in the flavour, meaning I couldn’t truly detect any other flavours in the whisky. I found that the finish was a harsh peaty one. More to Kamran’s liking than mine, but I prefer the more mellow peat and sweeter single malts. One of the worlds largest distilleries, Glenlivet have a rich history of producing fine single malt whiskys. For the review, we decided to do the 18 year scotch as it is an easy introductory single malt and has less peat and smoke flavour and a richer sweetness. The extra years in the barrel have added a richer colour to the whisky, yet it remains much lighter than the Glenlivet 21. The sweetness means that this is a whisky to be savoured, but the higher alcohol – at 43% – means that it does have a wee bit ‘o strength behind it. As well, the spice creates a warm glow that can be felt radiating from your palate down to your stomach. While not the best whisky we’ve tasted, it is certainly a must for those interested in dabbing their palate into the world of whisky. Due to historical implication, popularity, and mass production, the Glenlivet, along with Glenfiddich, share a place in the whisky world that (the likes of) Bud Light holds in the beer world — consumption, consumption, consumption! To be fair, while this whisky snobbery is quite justified in regards to the simple, flavourless 12 year concoctions, the extra years of maturation in oak casks imbues some of the older editions with enough complexity to satisfy even the most sophisticated palate. While it certainly doesn’t ring true that more age = better product — in many cases the alternative is the truth, despite the gross increase in price — in the case of the Glenlivet, more age certainly does improve the product — I mean, how could it get any worse?! 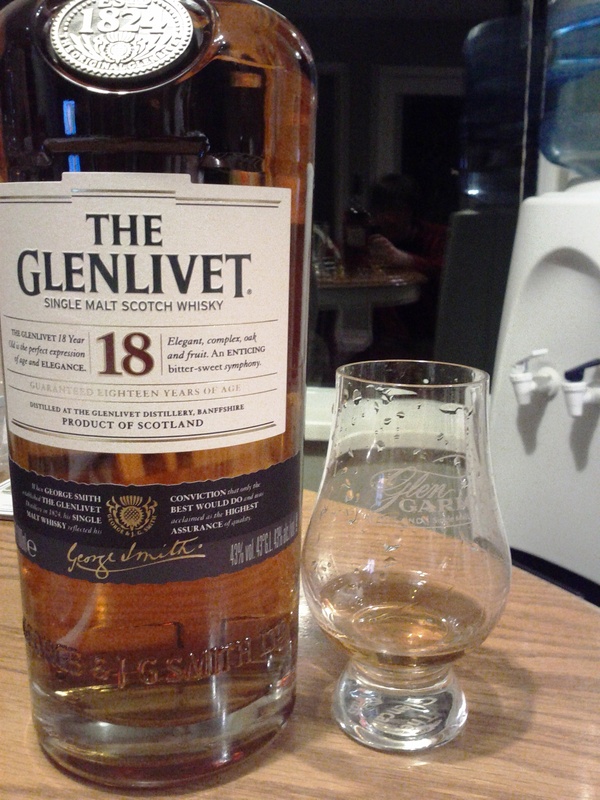 As a typical Speyside malt should be, the Glenlivet 18 is smooth and subtle; the flavours are not intense or overbearing like an Islay malt could be. Unlike the Glenlivet 12, though, the 18 actually does have some flavour, given almost entirely by the wood. On the nose, there is just a delicate touch of sweetness; however you can certainly smell the alcohol through this. At 43%, the malt doesn’t really require anything to cut it down; however, a couple drops (literally a couple drops) into an ounce, followed by a swirl, really does open up the flavours — careful not to ruin the whisky! On the palate are notes of oak and dirt; there is an earthiness about it, despite the lack of peat. Rather than the taste of a bog is the taste of pine trees and fresh water. While the finish leaves one desiring more, it is, at least, enjoyable, and sometimes one just wants a plain old whisky! The rich golden colour is from the extra years in the barrel, these years have also added to the rich nose that this whisky possesses. It is sweet with the oakiness, with a mild peat fragrance, with floral notes, along with some light toffee. On first sip it feels bold, but by the second or third it has exchanged pleasantries with your palate and is smooth yet sweet, along with some spice before the oakiness follows through. The finish is sharp due to the higher alcohol content, but it lasts with a radiating glow from your bodies core. A somewhat dry sensation lingers.